Finding a Limestone Sealer you can fully trust is not as easy as you might think. Are you currently looking for a company that can help you seal your limestone and make it look much better than it has in the past? When you’re ready to start doing this, you can count on our team to answer your questions and concerns. With the assistance of the TSS PRO Sealant on your side, you won’t have to worry about things getting in your way. Our professionals are on your side, and you’ll have relief in on time when you choose to work with us. 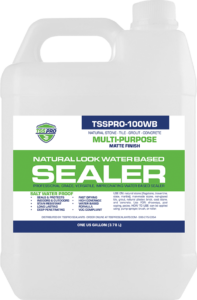 The TSS PRO Sealant is a long line of sealants that have stood out in this industry for years now. Are you looking for both commercial and residential stone sealers? Perhaps you’re trying to make sure you also don’t have to pay to much, but you still want an organic experience. While this i something that not every single company will be able to offer you, it’s something that’s right up our alley. We’re committed to making sure people just like you get the most possible out of the products we sell. We take pride in offering all-natural and all-organic sealings. If you’re ready to find this, make sure you count on our team dn visit our website. Limestone is a very porous stone, and it’s going to take some sealings and cleanings if you want to keep it in good shape. Many people use this for walkways and patIos, but it is easily etched. The same goes for staining. If you have any type of acidic stain like the involvements of lemonade and soda, you will have stains for years to come. Why not avoid this by calling in our company to help support you through these types of issues? With the TSS PRO Sealant on your side, you won’t have to worry about you stones not operating in full force ever again. Your limestone is a critical part of your life. You deserve to have it working in the right ways, and we know that this may hold you back from feeling true happiness. Instead of letting it get you down, rise above by using our sealants. With commercial and residential-grade quality sealants available, your homes and businesses will be just fine. Make sure you trust the best stone sealing team on the market today for your next sealant service. Are you trying to figure out how you’re going to stop water stains from happening again? Maybe you’ve had a lot of rain recently and it absolutely decimated your limestone. If you’re looking for this, we’ve got one high quality performance sealant hat stand south a little bit in this light. Why not use the TSS PRO-600 for your densifying and consolidating needs? You’re probably having a lot of issues making sure you have access to quality sealants. With our team on your side, your issue will be completely fine. We care about making sure you have a quality Limestone Sealer, but we know that every single surface is different. Are you trying to ask questions about what it needs to take to make sure you have the right sealants on your side? While you may be overwhelmed by the current setup, you can count on our team to help you with what’s next. Call in our service and explain your limestone predicaments. We’ll make sure you’re on your way towards success in no time. 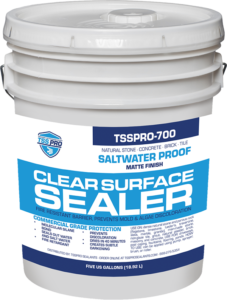 The TSS PRO Sealant is something that is very special, yes, but that doesn’t mean it has to be expensive. Are you trying to figure out a way where you can use your sealants in the best possible manners without spending too much cash? Perhaps you’re also not willing to cut corners on the quality but you want to save some money. When this happens to you, it’s absolutely imperative you find a business you can fully trust not doing this can really have bad implications for you in the future, but our team is here to provide answers for you. Keep in mind that when you’re in this scenario, there is no such thing as a bad question. You have every right to know exactly what’s going to be going on with your stones and surfaces? Are you unsure of what you think you might need? Perhaps you’re unsure of where you should start on your next project. This is something that can really cause a lot of grief in your head, but our team is here to help you through it and make things right. With us on your side, you won’t have to worry about these qualms getting in your way ever again. Limestone is only one of the many stones we supply products for. Are you dealing with some quartz stones that are looking really, really withered? Perhaps you’ve got some concrete that just doesn’t look good anymore. Regardless of the type of the stone, we’re willing to bet that we have a product or service for it. Our fanatics are crazy about helping every single type of stone owner be able to renovate their products and possessions. If this sounds like you and you want us involved, we’re always happy to do business. When you’re on a mission to find the best possible Limestone Sealer replacement for your needs, our team is on the cut for you. Reach out to the professionals we have on our team so you’ll be able to succeed and get through your adversity in no time. With the assistance of TSS PRO Sealants on your side, you’ll be able to finish your situation and get out of it in a timely manner. Count on our team and figure out what to do with your stones. This is very important to any structure, and you’ll be very glad you paid close attention to it. With the TSS PRO Sealant on your side, you will have some of the best stones on your back for years to come. Figure out what needs to happen today by touching base with our team!